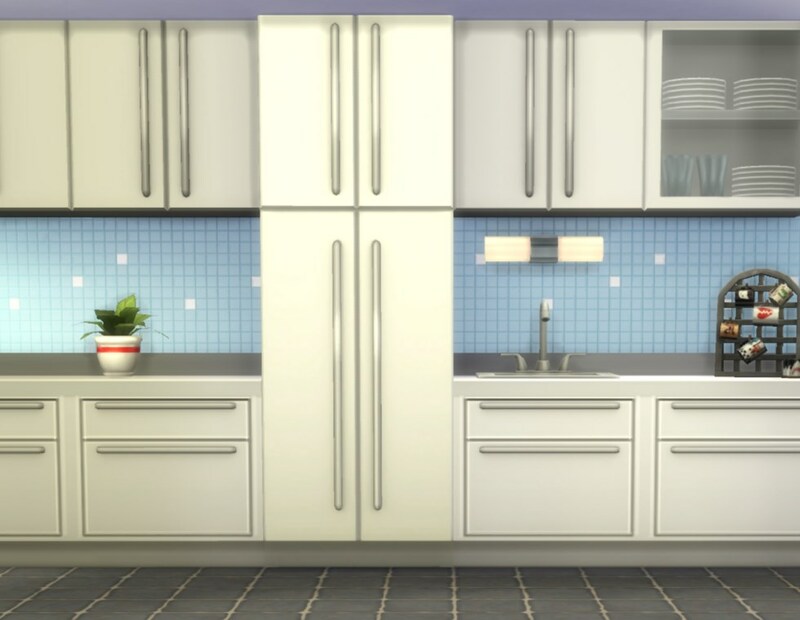 A fridge that matches the Maxis “Harbinger” kitchen, in the 20 colour variants of the Harbinger cabinets. 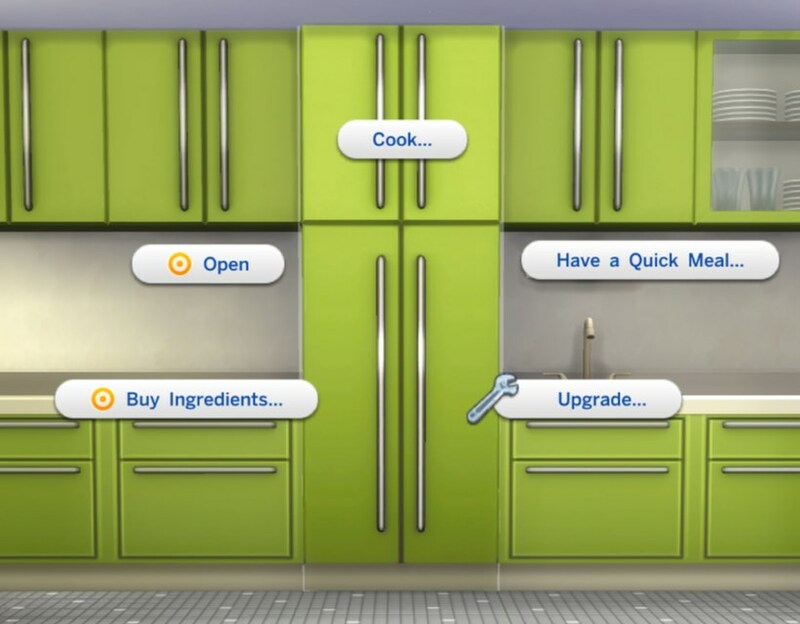 You should redownload, it really looks much better now =). 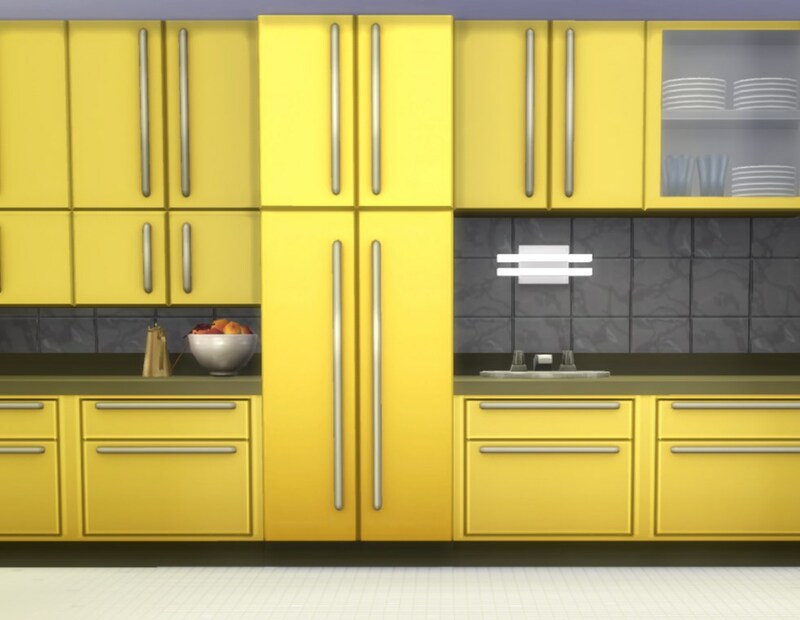 It costs 1.800§ and is available in Function > Appliances > Refrigerators and Room > Kitchen > Refrigerators. 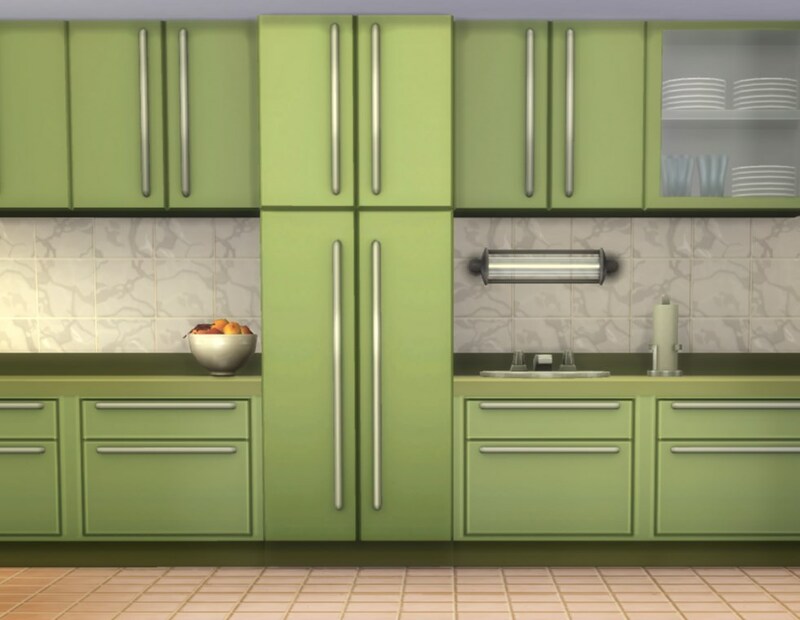 All textures are custom. 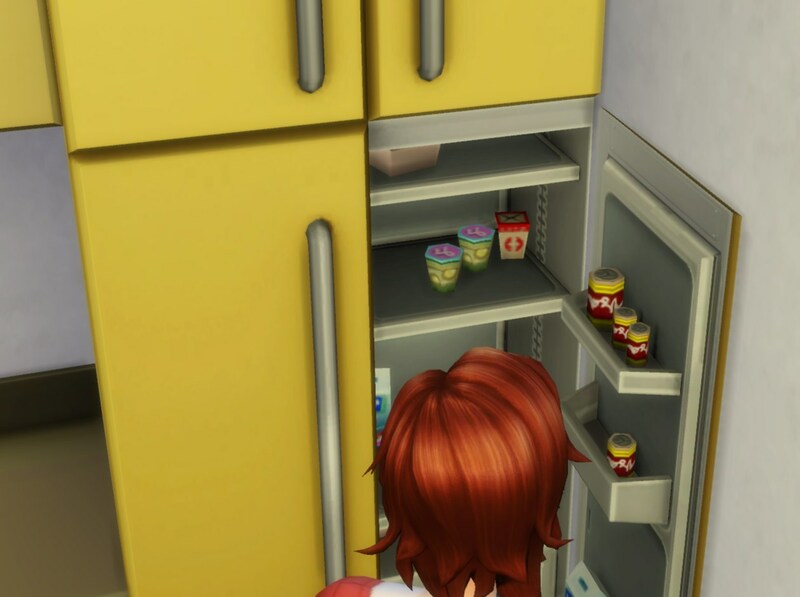 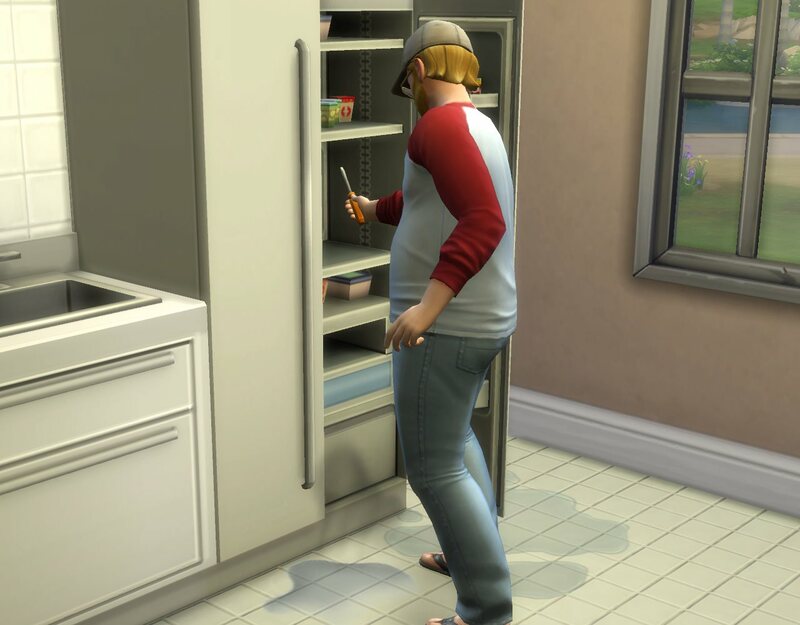 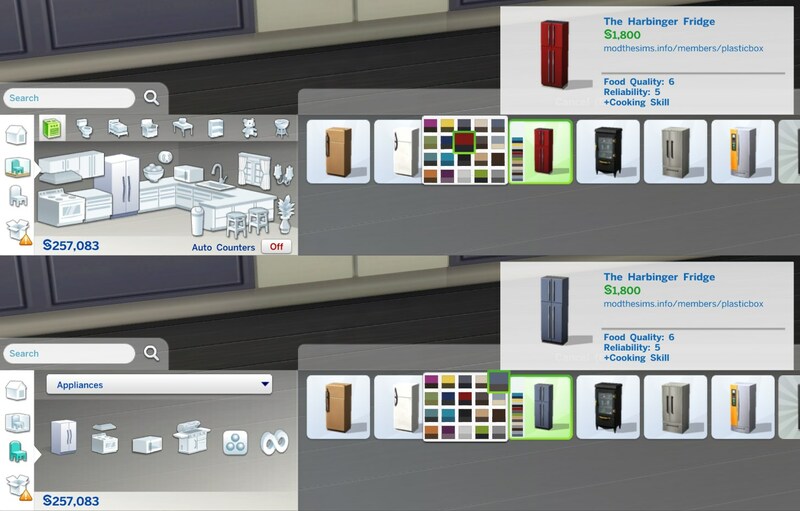 Tuning is referenced from one of the Maxis medium quality fridges, so if you have any mods that modify that (like graycurse’s “Shop from Fridge” which I had in when taking the screenshots) it will work for this fridge as well. 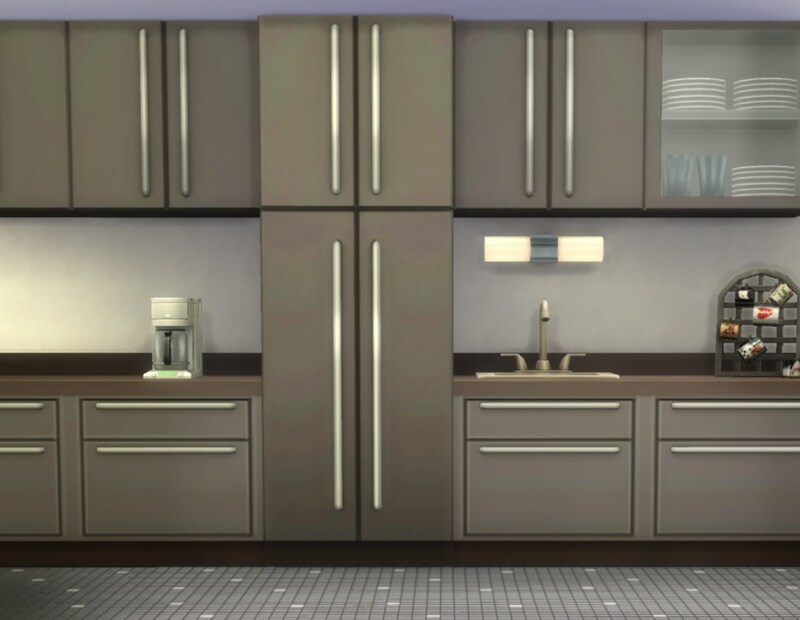 All screenshots are taken with the Harbinger Light Fix in; it changes how the cabinets are rendered (like the counters, so that the colours look the same as on those). 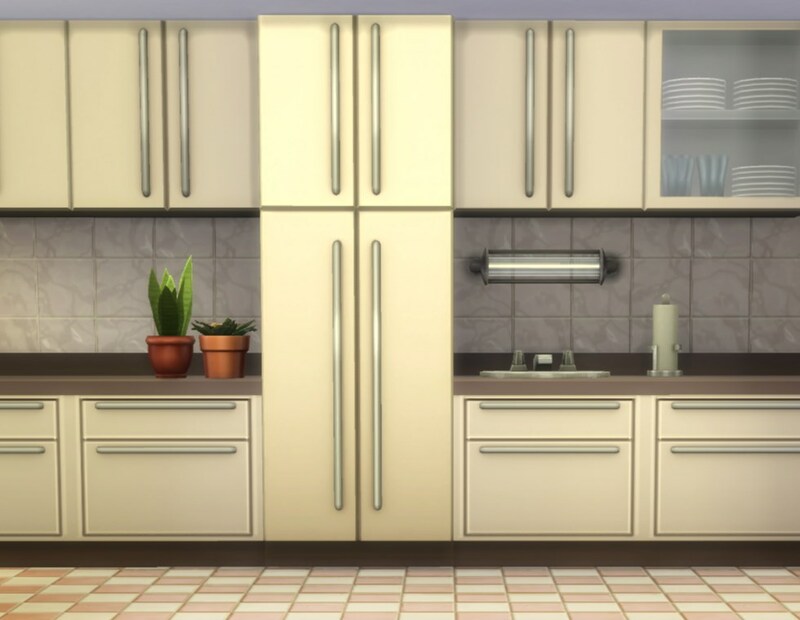 The fridge is being rendered a little differently from the counters and cabinets ‒ this is because I can’t use the Counter shader for the fridge since that stops the animations from working. 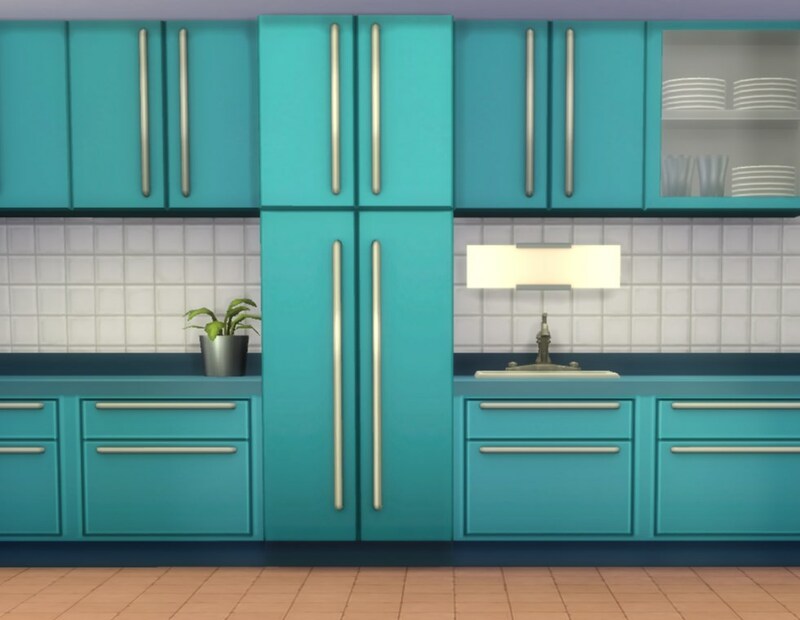 With some colour variants this is more noticeable, with some less; it also depends on the lighting in the room how much of annoyance it is. 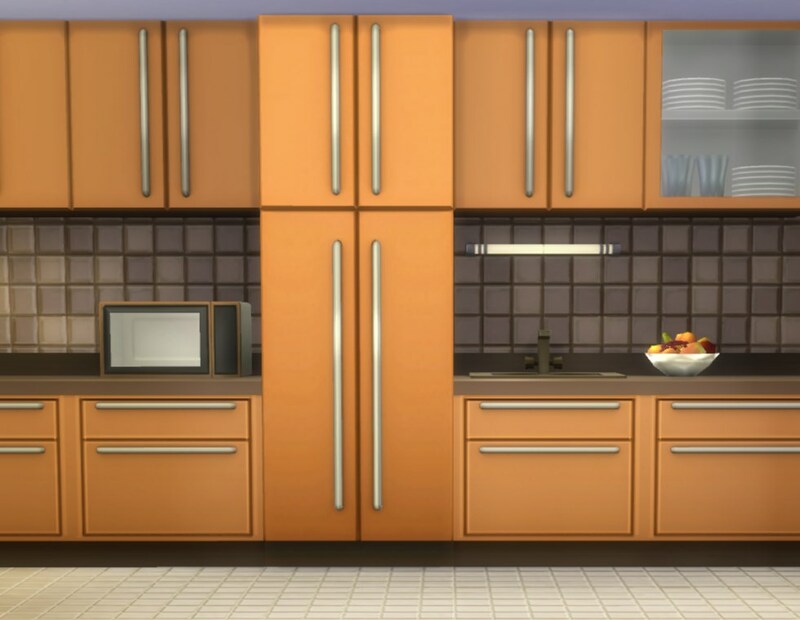 blender, s4pe, TSRW, Milkshape, Paint.net.